It all began in 2003, when the first N.O.A collection was designed. The rooted tradition of fine horological workmanship of the Ruefli family, together with the experience and professionalism of the team assembled by Nicola along with his brother Daniele Andreatta brought to life the world of N.O.A. Based in Switzerland, where our watch-making tradition goes back to the late 19th century, we capitalized on the experience as manufacturers of watch components to launch our brand : N.O.A, which stands for None Of the Above. N.O.A. 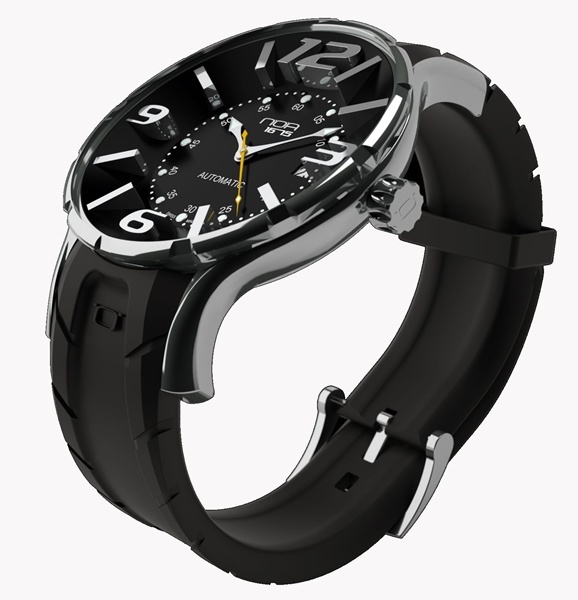 is set apart from other timepieces in the luxury category by its unique design and innovations. N.O.A. is also differentiated by its exclusive distribution channels and attainable pricing. While N.O.A remains a fully independent Brand, we have been constantly expanding our network and our market penetration. Today N.O.A is well known and distributed in more than 20 countries and our Brand is becoming more and more famous, thanks to our intensive marketing effort and the help of our partners throughout the world. The passion for innovation pushed us to shape our ideas and to introduce them to the world of Fine Luxury Watch making. N.O.A is a combination of Italian style and Swiss watch-making expertise. The pursuit for making beautiful objects that can accurately serve their function will constantly be the powerful creative impulse behind every new N.O.A creation. N.O.A. is the luxury watch brand for today, set apart from others in the category through a combination of stylish, forward-looking Italian design and three generations of Swiss watch making expertise. N.O.A. which represents the idea that these timepieces are unlike any other luxury watch available today. We are committed to staying fresh and relevant through continuous innovations in design and technology.